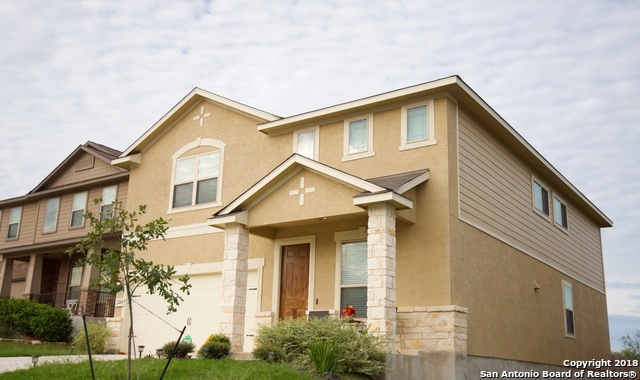 All CHAMPIONS PARK homes currently listed for sale in San Antonio as of 04/26/2019 are shown below. You can change the search criteria at any time by pressing the 'Change Search' button below. 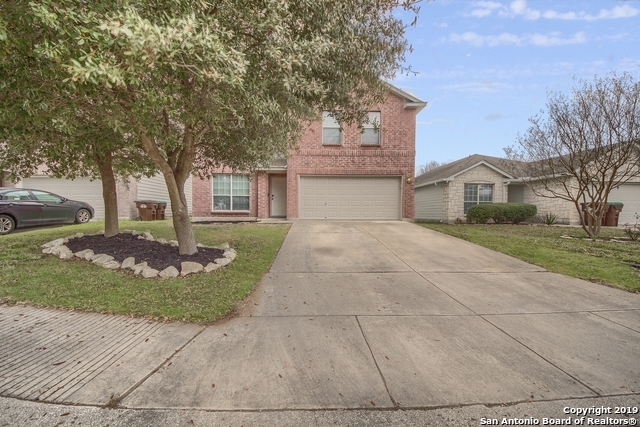 "Stunning 5 bedroom 3.5 bath home located near Sea World and Lackland AFB features multiple living areas and sits invitingly on a greenbelt corner lot! Bright and open, the kitchen features stainless steel appliances and walk-in pantry. Built in 2017 by Bella Vista Homes the home features all the best a builder has to offer. Arched doorways, upgraded doors, recessed lighting, and upstairs living space give the home a most welcoming feel. **Open House 4/20 1PM-3PM**"
"Spacious Dual Master 2 Story in Champions Park! Home features - Dual Masters One Up & One Down * Formal Dining Room * 8' Knotty Alder Speak Easy Front Door * Stunning Level 4 Granite Counter-Tops with Travertine at Kitchen * Stainless Steel Appliances * Crown Molding * Separate Tub & Shower with Tile Surround at Downstairs Master Bath * Huge Upstairs Gameroom with Vaulted Ceilings * Foam Insulation * 2 Faux Blinds * Water Softener Pre-plumb and much more! All Situated on an Oversized Greenbelt C"
"MOVE IN READY! MINT CONDITION BEAUTY BACKING UP TO OPEN SPACE! 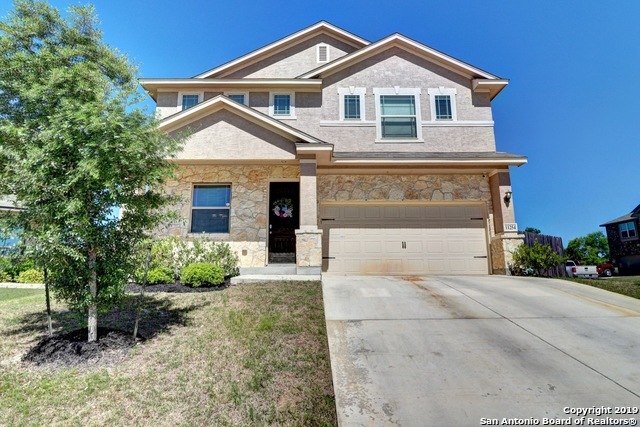 GORGEOUS HAND SCRAPED HARDWOOD FLOORS, GRANITE COUNTER TOPS IN KITCHEN, STAINLESS APPLIANCES, 42 CABINETS, DOWNSTAIRS MASTER , 5 PIECE MASTER BATH WITH DUAL CLOSETS, WROUGHT IRON BALUSTERS, OVER SIZED BONUS ROOM, 4 BEDROOMS UPSTAIRS, LARGE CLOSETS, 2 BLINDS IN EVERY ROOM. DON'T MISS OUT, THIS HOME IS A MUST SEE!" 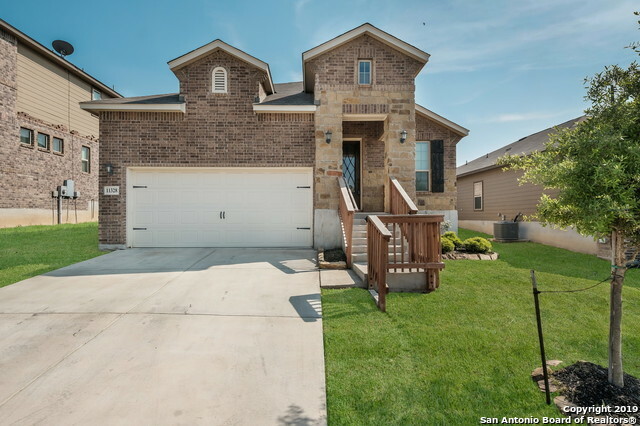 "Built in 2015, this beautiful two-story home features a large loft with spacious bedrooms. The kitchen includes an island with pendent lighting, granite countertops, ceramic tile in all wet. The master suite includes a separate tub and shower with dual vanities. A covered patio & porch. All Stainless Steel appliances convey!!" "Private, greenbelt lot Champions Park offers a beautifully upgraded home at a great price point! Elegant foyer leads to your french door home office and open concept floorplan features hardwood laminate & tile downstairs with an upgraded kitchen. Upgrades include 42 espresso cabinetry, stainless appliances, a pantry, mosaic tiled backsplash, granite, and a HUGE kitchen island. Upstairs features master with trey ceilings, a loft/ gameroom, and 3 addtl rooms. Easy commute to Lackland/ NSA! Close t"
"Built in 2016, this San Antonio offers an island kitchen with granite countertops and a two-car garage. Upgraded features include fresh interior paint and new carpet in select rooms. A community park is part of the HOA. Home comes with a 30-day buyback guarantee. Terms and conditions apply." "Stunning single story 3Bed / 2Bath home located in beautiful Champions Manor subdivision with amazing curb appeal! This home welcomes you in with an open floor plan featuring separate dining room & built in desk/office area. Island kitchen features gorgeous cabinets, granite countertops, walk-in pantry, & breakfast bar that opens into the large family room complete with high ceilings & gorgeous windows. Spacious backyard with covered patio & fire pit creates the perfect setting for outdoor enter"
"Why build? When this Stunning One Story is ready for you! This Stone & Brick Front Hm is a 3br 2bth w/ a study and over-sized two car garage. Kitchen greets you with granite counter tops & chocolate cabinets opening to dining and family room. Recent Wood-Laminate flooring in Living and Master. Luxurious Master Bth features Separate Garden Tub & Shower, Dual Sink Vanity with walk-in closet. Good size secondary bedrooms. 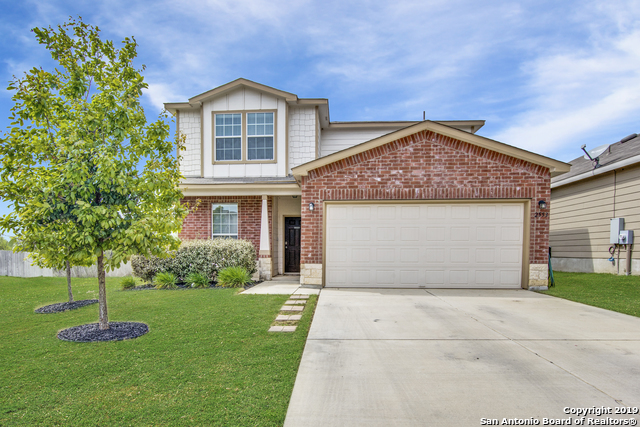 Very easy access to major highways minutes away from Alamo Ranch shopping & L"
"Built in 2014, this San Antonio two-story offers a loft, a walk-in closet in the master suite, and a two-car garage. Upgraded features include fresh interior paint and new carpet in select rooms. A community pool is part of the San Antonio Champions Park HOA. Home comes with a 30-day satisfaction guarantee. Terms and conditions apply." "Great bargain in highly coveted Champions Park -- Extremely livable, open floor plan, 4 bedroom 2.5 bath Legacy home w/ 2 eating areas & 2 living areas at an affordable price. Master Down, huge closets, generous bedrooms and upstairs gameroom make it irresistible! Dining room is a flex space that could be office, hobby/playroom. This popular neighborhood has a pool, park. No city taxes=lower payments. Bonuses-- 6 network ports for high tech use, water softener & filtration system and installed "